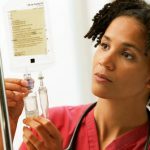 There are a number of LPN continuing education programs out there for LPNs who wish to train further and improve their skills. What is Continuing Education for LPN Nurses? LPN continuing education is basically what you do after you have qualified as an LPN once you have your LPN qualification you have the option to do further training in a variety of different fields. There are several reasons you may do this. For one thing you may want to improve your skills and make sure that you are up to date with the latest technologies. Or you may be doing it because it s required for your license renewal. Continuing education for LPN nurses can also mean career advancement. There are many reasons why you should engage in continuing education. It is essential that you are prepared to do this if you want to become an LPN. Continuing education is unavoidable as many states require that you present proof of your continuing education when you renew your license. However you don’t need to look on the necessity for continuing education as a bad thing. There are many reasons why this can benefit you and why it is required. Have a look at the list below to see of you understand the benefit of LPN continuing education. Changing Technology: In all aspects of life we are experiencing technological advances which we would not have guessed at a few years ago. As a highly scientific field the health care industry is also being influenced by this trend. Hence the fact that there are always new technologies for LPN nurses to learn about in order to provide good and safe care to their patients. New Medications on the Market: There are always new medications being approved by the U.S. Food and Drug Administration. 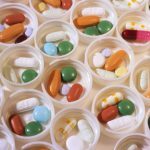 If you want to be a good nurse you will need to know how to administer each of these drugs as they come onto the market. 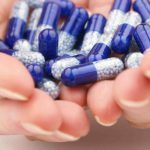 You will also need to know what other drugs they can be taken with safely and how much or how little to give patients of different ages. In cases of new drugs it is essential for the safety of your patients that you are aware of how to use the drug without putting anyone in danger. Career Advancement: If you study further after achieving your LPN qualification you will obviously be in a position to advance your career. Now the type of continuing study you do could simply be brushing up on your current skills. 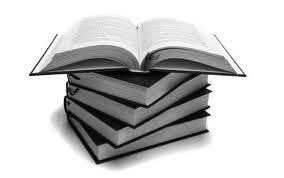 However, you will also be able to study to improve your qualification. You could for example get an RN qualification or even study towards your BSN. This means that there will be far more job opportunities out there for you and you will stand a great chance of improving your situation. This is one of the huge benefits of LPN continuing education. Infectious Illnesses: In the last years the world has seen the arrival and eradication (in some parts of the world in any case) of numerous infectious illnesses. We cannot predict when the next illness that threatens our society rears its head, but it could well happen during your career as an LPN. In cases like this you will require LPN continuing education in order to know how to deal with the infectious illness that has arisen. This is a very important aspect of being an LPN and you will need to be prepared to face this if necessary. Special Situations: The previous point is one kind of special situation to which we are referring. There could be a sudden outbreak of an old illness in your hospital in which case you will have to be trained to deal with it. There should be a sudden and field-changing advance in medicine that you will have to be able to deal with. There may be a dozen special situations that will arise that will require you to get LPN continuing education. Often your continuing education will be mandatory, but if it isn’t you should take the initiative and responsibility to be trained anyway. Changes in Licensing Laws: Our understanding of everything changes regularly. For example, our understanding and conception of what requirements a good nurse has to have are change in accordance with other changes that take place in medicine and in society at large. This is why it is important that you are constantly aware of what new licensing laws may be brought into practice. 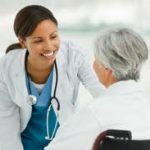 Because of these changing conceptions it may become necessary for LPN nurses to learn new skills and take part in continuing education if they hope to receive their license and continue practicing as an LPN nurse. Make sure that you know what is going on in terms of licensing. State Requirements: Linked to the previous point is the issue of general state requirements. You will notice that in some states you are required to prove that you have done a certain number of hours of continuing education if you want to have your licensed renewed. The number of hours can differ drastically from state to state. There are a few states that do not have this requirement, but it is still important that you undergo LPN continuing education in any case so that you can continue doing your job well and safely. Safety Issues: I think that you can see how all of the previous points tie up with safety issues. 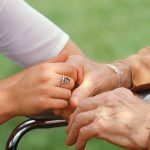 If you are to be a good LPN then you need to make sure that the patients under your care are safe. This requires that you are well versed in all of the procedures necessary for keeping them safe and that you know what to do and when to do it so that your patients recover well. It is in fact an ethical obligation to engage in LPN continuing education as you will be unable to ensure the safety of your patients with 100 percent certainty otherwise. Medical Advancements: Just one more reminder of how incredibly important it is that you stay up to date with medical advances. It is essential for professionals from all fields to do this, so if you consider yourself to be a professional and responsible LPN nurse then it is your duty to know what is going on in your field. A practical consideration is that you may struggle to find work or keep your job if you are not aware of the latest medical advancements and if you are not trained appropriately in accordance with those medical advancements. You will not be able to renew your license in many states. As it has been mentioned previously continuing education is often a requirement for the renewal of your LPN license to practice. 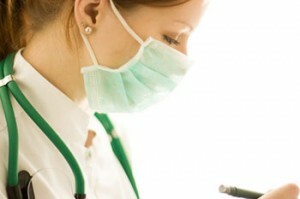 The quality of care provided by nursing professionals in general would diminish. If nurses are not mandated to keep their level of education up then they may find themselves in a position where they are unable to provide the care required. If this happens on a large scale it could seriously damage the entire nursing profession. Care would be inconsistent and dangerous between nurses who have different levels of education making the chances of mistakes happening very likely. This is because an untrained nurse may want to do something that has since been discovered as dangerous. 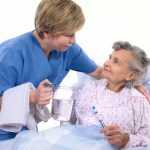 There are simply too much room for misunderstandings between nurses with different educational levels.